I don't know the age of this DGRD but it looks to be in excellent condition and a deal at 14 bucks. I've always loved the prince style, and I didn't even know the RD was made in this style. I smoked Grabows as a kid because they were cheap but have picked up a few since resurrecting my pipe smoking and they smoke great. They also come in more sizes and shapes than I realized! Is it speeding it's way through the mails to you? Excellent! I think you will be very happy with that pipe. Maybe not an eBay find, but rather an internet find to partly answer my own questions, I found this pretty cool website on Dr Grabow history. That's a good site. Mac was a founder of the Dr. Grabow Collectors Forum. His emphasis is on Grabow pipes of the pre-Sparta Chicago era. 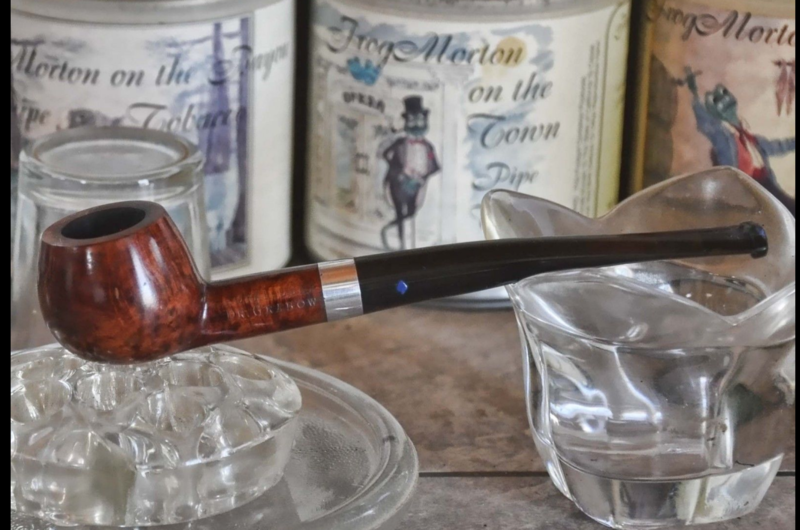 Sparta Grabow pipes are covered extensively on the DCGF.